Beauty Care Choices: A case of the frizzies? A case of the frizzies? hair shaft, allowing it to smooth out and seal, rather than fly up like a loose wire. Anti-frizz products often contain silicones, which can be drying. The silicones allow the products to really stick to your hair and block external moisture from undoing what your anti-frizz did in the first place. 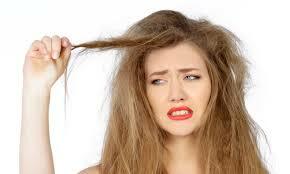 So, if you use an anti-frizz product regularly, you may want to choose a shampoo that is more hydrating. You can choose a variety of different kinds of anti-frizz products. They come in sprays, leave-in treatments, oils, and more. If you want some hold and styling boost, use an anti-frizz spray. Leave-in treatments are perfect if your hair already starts the day extremely dry. Oils are the best option if you want no added styling benefits and work best for coarse hair. My hair is frizzy due to the humidity in Florida plus I in my fifties. I definitely would love to try some of the above products. My hair gets really dry and I am always on the hunt for good anti-frizz products. I'm going to try the oils next! i seem to have frizzy hair every now and then, thanks for the reviews,Im going to try some of these products! Brunette to Blonde...what to consider.